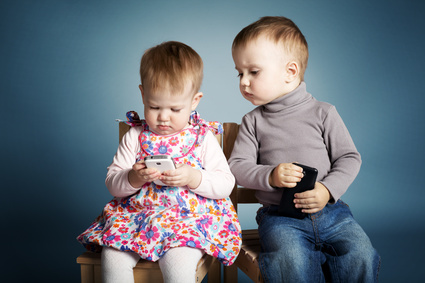 The October 26, 2015, issue of Time Magazine published a cover story entitled “Help, My Parents are Millennials.” The author of this article referenced BabyCenter’s findings from a survey of 2,700 US moms between the ages of 18 and 44 years and completed in February. One finding in particular caught my eye. According to the BabyCenter’s survey, 80% of millennial moms (18-34 years old) felt it “important to be ‘the perfect mom. '” The same was true for 70% of moms in “Generation X” (35-44 years old in this survey). Let me restate that: 70-80% of moms between 18 and 44 years old strive to be “the perfect mom.” Unfortunately, this means that 70-80% of these mothers experience extreme self-doubt and “a lot of guilt” about falling short on the impossible and mythical task of “perfect parenting” (read 6 Myths of the Perfect Parent). There is no such thing as a “perfect parent”…and that is a good thing! Don’t get me wrong. I do not condone intentionally selfish parents or uncaring abusive parents. However, when parents strive to do their best job as a parent and fall short (which they will), their children will benefit from their shortcomings. Children gain amazing benefits from their imperfect parents. Let me explain by noting a few of the benefits children receive from imperfect parents. 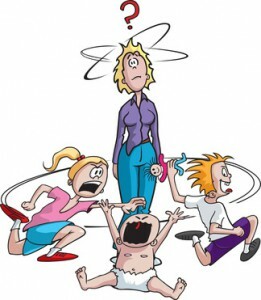 Children of imperfect parents learn how to manage stress and frustration. 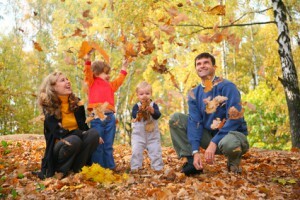 Studies suggest that effective parents remain “in sync” with their children about 20-30% of the time. Parents and children just can’t be perfectly “in sync,” in tune, all the time. Life carries too many distractions. That means parents are “out of sync” with their children 70-80% of the time, a frustrating experience that may leave children feeling unheard, unappreciated, or insignificant. These minor breaches in connection allow children to learn ways of managing frustrations and stresses in a healthy manner. Times of being “out of sync” with a parent encourages children to learn independence, how to soothe themselves, how to meet their own emotional and physical needs, and how to wait, go without, or modify their goals as appropriate. Children of imperfect parents learn to accept and love in spite of flaws. In general, our children experience our love and affection, justified anger, appropriate discipline, and emotions that make sense in a given situation. However, life is filled with distractions. In the midst of life’s messiness, we will miss the mark, fall short, misunderstand, feel misunderstood, disagree, have bad days, get tired, feel overwhelmed, get hurt, etc. At those times, our children may experience another side of us—a less attractive side. They may experience unjustified anger, irrational sorrow, or even our intrusive overwhelming preoccupation with their well-being. They will learn great things from such shortcomings. They will learn that everyone has good and bad qualities, healthy and “not-so-healthy” reactions. They will learn that our love is greater than our mistakes. They will learn to accept us in spite of our flaws, love us in spite of our shortcomings…just as we accept and love them in spite of their flaws and shortcomings. And, by learning to accept us in spite of our flaws, they will learn to accept themselves as well…warts and all. Children of imperfect parents learn to forgive and be forgiven. Sometimes we will need to apologize to our children for our mistakes, to ask their forgiveness for our wrongs. This provides a powerful lesson in forgiveness. Our children learn that everyone can humble themselves to admit a wrong and ask forgiveness. They also learn the grace of offering forgiveness and the joy of restored relationships. If we, the parents, can seek forgiveness, our children will learn to do the same. When parents forgive, children learn to forgive. The bond between a father and daughter is precious relationship. The father-daughter relationship brings one of the greatest joys a father will experience. It also brings many benefits to his daughter. A woman who had the joy of a positive father-daughter relationship experiences greater confidence. She is more likely to graduate from college and enter into a higher paying job traditionally held by males. She is less likely to become sexually active as a teen or experience teen pregnancy. When she marries, a daughter of an involved father is more likely to experience an intimate, fulfilling, long-lasting, and satisfying relationship. We could go on listing the positive effects of strong father-daughter relationship—like a daughter’s decreased chance of depression and greater satisfaction with her appearance–but, knowing the benefits of a strong father-daughter bond is only the beginning. What we really need to know is how to develop that strong bond? What can a father do to create the kind of father-daughter relationship that will increase the chance of his daughter receiving all these benefits? A professor and former graduate student from Baylor University have answered this question! They asked 43 fathers and 43 daughters (who were not related by the way) to pinpoint crucial moments of change in their father-daughter relationships. Remarkably, the fathers and daughters agreed as to the most important turning point in their relationships. Engaging in shared activities was the number one turning point in their relationship. Shared activities allowed fathers and daughters to develop a closer, more intimate relationship. It allowed them to spend time together and share something meaningful to both of them. Shared activities added meaning and joy to their relationship. Shared activities include everything from working together to church functions to extra-curricular activities, traveling together, working on school projects, and, the biggest one, sports. There it is. The way to build a strong father-daughter relationship is through shared activities. What are you waiting for? Get out there and get involved in your daughter’s life. Do some work around the house or in the yard together. Volunteer together. Coach her softball team. Play chess. Go hunting. Take a trip. Spend time with your daughter doing something you will both enjoy. You will cherish those times forever and she will reap the benefits into adulthood! Pope Francis made several important and insightful statements about the family during his unscripted remarks made “from the heart.” You can read several of these comments in the Catholic Herald or the New York Times. I would like to take a moment and expand upon one of his statements…and, if it I may be so bold, modify one word. 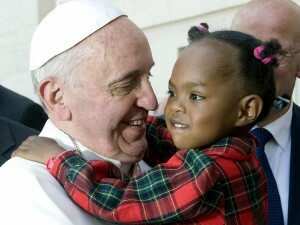 Specifically, Pope Francis stated, “The family is like a factory of hope.” I love the idea that family produces hope. I agree wholeheartedly. At the same time, I would like to modify one word—factory. Factory brings to mind a precise method of assembling or manufacturing a product to consistent specifications within a specific timeframe. Every product in a factory begins with the same raw materials, goes through the same process, and becomes a finished product that meets the same specifications as every other product produced by that factory. Families are not so precise, not so mechanical. Families are messy. They vary. They start with different raw materials and require a variety of processes, even from within the same family. I think families are more “like a nursery of hope.” I’m not speaking of a baby nursery; I’m speaking of a plant nursery. The family is like a nursery of hope. Like a plant nursery, families prepare the soil to grow hope. They nourish it with rich doses of acceptance and love to increase its fertility. Families then plant the precious seed of hope in the soil they have prepared. They meticulously plant it to a depth unique to each particular seed. They spend time carefully adjusting the nutrients in the soil of their family to match the unique needs of the seed they plant. Each family studies their particular seeds for those characteristics that mark them as unique and then adjusts the home environment accordingly. If the seed requires more time poured into it, let it pour. If it prospers with more encouragement toward independence, encourage. In other words, the family becomes a student of the seed, learning as much as possible about the seed and what will best promote it to grow in hope, love, and maturity. Through their study of the seed, the family learns what branches to prune, how to discipline, so the tree will grow deeper roots of wisdom, a broader trunk to supply strength, and branches that reach toward higher dreams. Throughout the growth of each family member, the family provides support, nourishment, and protection so hope can grow from seed to fragile sapling to mighty tree. When hope reaches maturity, the family watches in awe as a bud blooms on their tree of hope and transforms into a fruit unique to that family—a fruit they can admire, a fruit they can share with the world, a fruit from which they can take further nourishment, and a fruit which they can use to plant more hope. Truly, the family is like a nursery of hope. Tend to it with special love and care. Do you enjoy parenting? I do…most of the time anyway. There are times I’d like to throw in the towel; but overall, I really enjoy parenting. My kids are in the process of “leaving the nest” and I’m going to miss having them at home to parent. As they prepare to leave, I have thought about what I have enjoyed about parenting. I realize I’ve experienced some “joy robbers” and some “joy starters” when it comes to parenting. Sometimes I even allowed the “joy robbers” to take over. I’d like to share these “joy robbers” and “joy starters” with you so you can enjoy parenting “to the max” and avoid the mistakes I’ve made along the way. Overscheduling. When you overschedule your children they get tired. You get grumpy. Everyone gets a shorter fuse. Overscheduling makes everyone in the family feel like they are constantly on the run and constantly under pressure. Slow down. Schedule in some down time. Overscheduling is a joy robber. Expecting perfection. If you expect perfection from your children you will experience disappointment and frustration. They are children…and children are not perfect. What’s more, you are a parent…and parents are not perfect. We all make mistakes. We all fall short. Rather than expecting perfection, encourage everyone to do their best and accept one another in spite of shortcomings. Expecting perfection will rob you of joy. Living through your children. We cannot expect our children to live out our unfulfilled dreams. They may not be interested in becoming the star quarterback we dreamed of becoming…or the lead in the musical…or the straight “A” student…or the artist…or the popular jock…you get the idea. Asking them to do so (even subtly) will only lead to frustration. Let your children live their own dream based on their own interests and strengths. Get a life of your own. Living through your children is a definite joy robber. Focusing on frustrating moments. Life is filled with frustrations, irritations, and hassles. However, life is also filled with moments of fun, joy, and amazing connections. Joy robbers focus on the frustrations, irritations, and hassles. Count your blessings. Make it a point to “shout out” gratitude. Focusing on the frustrating moments will do nothing for your joy. All work and no play. Parents and children need time to play. Sure we need to get some work done; but maybe we can build play into the work. Sometimes we can even set the work aside for a time and enjoy one another’s company while we play. Go ahead and play because all work and no play is a joy robber! Spend time with your children. Joyful parents discover the most intimate and joyous times with children come during the most mundane and unexpected moments like driving to the grocery store, getting ready for bed, playing catch, or cooking dinner. You miss joyful moments when time together is rare. Time spent with children is the first joy starter. Tune in to your children. Become a student of your children. Learn about their interests, strengths, weak areas, and fears. Take time to meet their friends and teachers. Be accepting of what they dislike about you and the rules they disagree with. The more you tune into your children, the more joy you will discover as a parent. Appreciate the little pleasures. Make it a point to express gratitude to your children every day. Appreciate the little things they do around the house, even if miniscule. Give a “shout out” of gratitude for the times you spend together, the talks you have, or the activities you enjoy. Thank them for spontaneously doing a chore or following through on something you had to ask them to do. Focus on those things you appreciate rather than the hassles. There are plenty of both; but your joy will grow as you focus on gratitude. Play. Make time to play with your children. Play builds intimacy. Play empowers us to resolve conflict. Play is fun! You can play board games, catch, music, or just joke around. Make it a point to play with your children—it’s a great relationship builder and joy starter! I like Pooh…that sounds bad. Let me rephrase and start again. I like Winnie the Pooh. He brings us a great deal of wisdom. 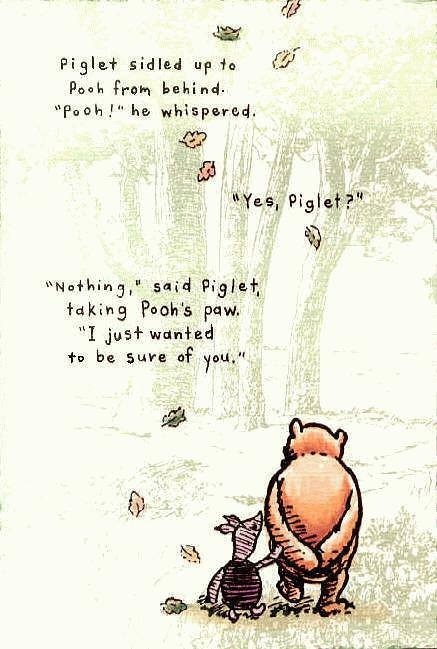 For instance, consider the wisdom in this sketch and Piglet’s request to “be sure of you.” Very wise, especially when it comes to family. Sometimes we just need to know our loved ones are there. Our spouses need to be sure of us. They need to know our ears are attuned to their whispered needs. They need assurance that we will respond to their subtle requests by turning toward them in love. They need to feel our touch reminding them of our presence and involvement in their lives, assuring them that we yearn to walk hand in hand with them through life. Our children need to be sure of us. They want to be heard and acknowledged by us no matter how quiet and inept their voice might sound. They need to know we are available to them. They seek assurance that we delight in them and rejoice when they approach us. They long for us to take their hand and gently guide them through the dark woods. Assure your spouse and children of your presence in their lives. Remind them of your desire to respond to even their subtle needs and desires. Constantly communicate your unending love and delight in them. All it takes is a smile, a hug, or a word of affection…but the joy and comfort it gives will last a lifetime.